he focus of my program is training to become a medical doctor. I am currently in my M1 year at the University of Michigan. In our program, we have a condensed curriculum meaning that we only have one preclinical year and we go to the wards to do our clinical rotations starting our M2 year. The first few months of school we learned foundational material that covered biochemistry, genetics, immunology and diagnostic therapeutics. We are currently learning the normal physiology and abnormal pathophysiology associated with all the organ systems of the body. Additionally, we have year long courses, some of which focus on things like inter-professional experiences, biostatistics and diagnosing chief concerns and communication and physical exam skills. The content I find most engaging right now is learning about all the different pathological states that can occur in the human body and how medicine has evolved/is currently evolving to treat or cure different disease states. The University of Michigan Medical School was always my dream school for many reasons. One reason is the condensed curriculum. Whereas many schools have 1.5-2 preclinical years, we get to go into the wards and start interacting with patients very early on, even before we take our first board exam. Another thing that impacted my decision was location. Being from Ann Arbor, I was so excited to get back home and be close to my family. Medical school is hard and taxing, one of my biggest stress relief activities is going to the gym with my mom or going home and playing with my dogs! I think some of the most difficult parts of my road to medical school were because of mental health issues or issues where I ‘failed’ at something. I’ve always been very hard on myself so every exam I took at Denison really mattered and I really stressed myself out. There were a few semesters that I thought ruined my chances at getting into medical school because I was struggling with anxiety and depression and my GPA suffered. First and foremost, I had to take care of my mental health, which I did (use Whisler if you need it!). I then bounced back and had my best semesters of college, GPA wise. Once I got to the application process, I decided to use my lower GPA semesters to my advantage and show schools my resilience. I openly wrote about my tough times and showed major GPA improvements in the following semesters while still keeping up with my extracurriculars at Denison like volleyball and research. Although I’m not sure what field of medicine I will enter in to, I hope to pursue a residency at an academic institution like Michigan where I will have opportunities to do research, interact clinically with patients and train the next generation of physicians below me! There is no direct path to medical school and taking time off is right for you if it’s right for you just like going straight through is right for you if it’s right for you. The application process is challenging and daunting but take your time and never give up. Always ask for feedback and continue to constantly learn. If you stay humble and ask questions, people will want to help and teach you. Please reach out and email me if you have any other questions! he focus of OU-HCOM is developing primary care physicians practicing in underserved communities in Ohio. The most engaging thing for me at OU-HCOM has been being able to explore public and global health. I was able to combine my experiences from Denison (studying Biology and Spanish) and translate them into developing intentional global health research in medical school. Because of Denison, I was able to develop and be the lead investigator on an international research project focused on understanding social determinants, HIV transmission, and care received by people living with HIV/AIDS in urban and rural communities in Ecuador. I knew I wanted to go to medical school since I was pretty young. From my experience shadowing physicians in different specialties as well as seeing my sister go through medical school, I wanted to attend an osteopathic medical school. Why osteopathic medicine (DO)? There’s a strong emphasis on preventative medicine and primary care, promoting wellness, and focusing on the interconnectedness of the body and mind, taking a “whole person” approach. In addition to taking all the same classes as allopathic medical schools (MD), you take an additional courses in osteopathic manipulative treatment (OMT) which is a form of manual medicine (think physical therapy) than can help diagnose and aid in the treatment of different medical conditions. During your first year of medical school, it is a lot like transitioning into college. You have to rethink the way you learn and how you study. While the material you learn is not harder than at Denison (in many cases, it is actually easier), the pace at which you learn is very different. Things move a lot faster. Each medical school lecture usually covers the amount of material in about 3-4 undergraduate lectures. Being proactive (rather than reactive) in your learning is what helped me adjust to medical school. Reaching out to second year students, using all the resources you have available, and getting tutoring when you think you need it is how you succeed. There is no shame in asking for help. Right now, I am interested in going into general internal medicine and splitting my future practice into inpatient hospitalist work and outpatient primary care. I want to practice in a medically under-served area. I am also interested in public health, social medicine research, and practicing internationally (e.g., Doctors Without Borders). If I can find someway to combine all that together, that is what I want to do! If you are thinking about going to medical school (or really any health profession), I suggest to shadow some professionals to get a sense of what the practice of medicine is like in whichever field interests you. If you are not sure if you are competitive for a certain program/school, call them! You can call or email the admissions office of nearly any school and ask them what kind of applicants they accept (e.g., MCAT scores, GPA, research, volunteering, etc.). I scheduled a meeting with an admissions officer and brought my resume. We chatted about what kind of applicant I would be and how to be more competitive. The best advice someone can give you about being competitive for medical school are the people who accept you to medical school. Overall, I think osteopathic medicine is very much a continuation of the the liberal arts philosophy at Denison. When looking at applying to medical schools, keep osteopathic medicine on your radar. It is a rapidly growing field. Now, about one in four US medical students attend an osteopathic medical school. If you ever have any questions, I can do my best to answer them. Find me on LinkedIn, and we can chat from there. I am in a Pharmaceutical Sciences PhD graduate program. While the classes are fascinating and challenging, I most enjoy my time in the lab. My program has us rotate through 3 different labs in our first year so I’m getting experience working with cell lines, mouse models, and patient clinical data. For me, the interviews were vital in really getting a feel for a program. In talking with the students and faculty, I was able to tell where I would fit in. Additionally, it was important to me that whichever program I chose had multiple labs that I was interested in. This way I would have a chance to rotate and make the best decision for myself. I had spent the first 22 years of my life surrounded by friends and family in Ohio. Graduate school was my first time going off on my own. While this is certainly challenging, my parents have been very supportive, especially with the big move (21 hours of driving!). Living alone in a new state is certainly scary but the other students in my program have been a great resource and I’ve even connected with some old Denison friends! I’ve only just started my program so I’m not entirely sure yet but I’ll likely end up in pharmaceutical industry. If not, I could definitely see myself running a research lab in an academic institution. Talk with other students who have been there! Don’t be afraid to reach out to Denison connections and even faculty members at programs you’re interested in. They’re surprisingly approachable and it can help your chances at getting an interview! Also, the absolute best thing to prepare yourself for graduate school is your lab experience. Get involved on campus, look for summer programs in fields you’re interested in (I did a couple in Pharmacology & Pharmaceutical Sciences labs off campus), and make sure you really understand your previous research and can talk about it! I am currently in my last year of my clinical doctorate degree in Occupational Therapy (OT) at Washington University in St. Louis. In our OT program we have the opportunity to get exposure to many areas of practice through clinical experiences (fieldwork), research experiences, and classroom clinical exposure. I am specifically very interested in the hand therapy area of practice within occupational therapy, so I am currently completing my doctoral research in hand therapy, mentoring students in a student-run hand therapy clinic, and have completed one of my two 12-week clinical experiences (fieldwork) in hand therapy. Despite my interest in hand therapy, I am very grateful that I have had exposure to other areas of practice through clinical experience in the program, including acute care, pediatric therapy, inpatient rehabilitation, mental health, and other areas of the field. After my freshman year, I knew I was very interested in psychology, education, and healthcare. However, I wasn’t sure if I could find a career that incorporated all of my areas of interest. My cousin is an occupational therapist, but at the time I had no idea the field of occupational therapy existed. Quite a few members of my family work in various aspects of healthcare, so I began to ask them about what they did and how they got there. When I talked to my cousin, she explained to me that she worked as an occupational therapist in an outpatient neurology clinic working with patients who had undergone a stroke or had other neurological conditions who were having difficulty with various activities in everyday life. She explained to me that occupational therapy involved working with patients to get them back to doing the activities they do on a daily basis (occupations) and that an occupational therapist gets to use knowledge of medical conditions (anatomy, physiology, etc. ), creativity, an understanding of people, and education to help individuals get back to the things they want and need to do every day. This conversation really peaked my interest, so that summer I shadowed at an outpatient pediatric clinic working with younger children with developmental delays. That summer I got to shadow two licensed occupational therapists as they evaluated children and worked with them to get them back on track with their developmental milestones. Once I decided I wanted to pursue graduate school for occupational therapy, I had to find a mentor who understood my career and graduate school goals. This was challenging because I couldn’t find a lot of people that knew about the field I was interested in and there were not many alumni that I could find who followed the path to graduate school in occupational therapy. Eventually, I found Dr. Gina Dow and worked closely with her for three years at Denison to make sure I was getting experiences that would be beneficial before entering an occupational therapy graduate program. Dr. Dow helped me to determine classes I would need to take both at Denison and during the summer to meet application requirements and helped me to gain experience with individuals in the community she knew. I worked with Dr. Dow for an independent study my senior year focusing on Transition to Independent Living for Developmentally Disabled Adolescents and got exposure to a lot of individuals in the community. Denison did not offer some of the courses I needed for application requirements, so I took a few of them when I studied abroad in New Zealand, took a few courses over the summer, and got creative with the independent studies I completed at Denison. I currently have one academic semester left in St. Louis, which includes mentoring and teaching experiences, and then I will complete my second 12-week clinical experience in inpatient rehabilitation in Colorado and complete my doctoral experience in advanced clinical practice with a focus on upper extremity amputation and prosthetic rehabilitation. I would love to get my first job in hand therapy, but that can be difficult as a new graduate, so I am open to starting my OT career in another area of practice. Overall, I am so happy I chose a field that encompasses all of my interests and allows movement across areas of practice. After graduating with my OTD and passing my board certification exam, I will be qualified to work in almost all areas of OT practice, which opens up a lot of opportunity. I’ll start off my advice with a funny story: I remember talking to somebody at the career center at Denison at the beginning of my sophomore year to find out as much information as possible about occupational therapy. I learned about a 3-2 program with Washington University in St. Louis in which I could complete 3 years of my undergrad degree at Denison and then finish requirements for my Masters in Occupational Therapy at Washington University. I remember thinking to myself that I did not want to join this 3-2 program because it would limit me to just one graduate school and I wasn’t sure if I wanted to move to St. Louis, MO. Ironically enough, I ended up at Washington University after all that and have had an amazing experience here. So, my advice after this story is that for graduate school, specifically OT, you end up going to school where you get in. Unfortunately, you have a lot less choice when it comes to these programs because they are competitive. Another piece of advice would be to try to get shadowing experience in a variety of areas of practice within occupational therapy. Try to shadow in pediatrics, in a hospital, in a nursing home, in a hand therapy clinic, or other areas locally. Getting a variety of shadowing experiences will really help you to understand the field of occupational therapy better and set you up for success when applying to OT school. I am happy to answer any questions you may have about occupational therapy or occupational therapy graduate school, so please don’t hesitate to reach out. Although I enjoyed many of the clinical rotations and classes that I have taken in my program, I really enjoyed OB- labor and delivery as well as postpartum. After graduating Denison, I really did not know what I wanted to do with my major and what I was interested in. I shadowed my aunt, a nurse anesthetist and fell in love with nursing. I looked at many programs in Chicago both bachelors and masters programs but I really liked the facility at Resurrection University and that I could finish a program in 16 months. I still had to finish some prerequisites but most of the classes I needed I had already taken at Denison. I was really excited to apply my athletic training background from Denison to nursing. One of the challenges I faced applying to nursing school was not knowing what programs to apply to/the process of applying. I did not really have a lot of guidance in applying to schools and felt like I did not really know what I was doing. Applying to colleges, I had a college counselor who helped me with the process but I did not have anyone guiding me for this. Fortunately, there are a lot of programs in the Chicago-land area so I was able to apply to many schools. However, none of the schools had the exact same prerequisites so it was challenging making decisions on what programs to apply to and all the different prerequisites I had or needed to take in order to apply. To work as a registered nurse on a medical-surgical floor of a hospital. I definitely think I would have benefited from someone helping me through the application process. Since I made the decision to go to nursing school after I had graduated from Denison, I was not able to use the resources on campus. I would say if you know you want to go to graduate school to take advantage of the resources at Denison through the career center. Having someone to guide you through the process would be extremely beneficial. I also think it would be helpful to reach out to people who have already graduated from Denison who were/ are currently in a similar program to reach out to them for specific advice about the program. I did the pre-medical track at Denison, with a major in Biology. I focused on plant biology primarily. I chose to go into medicine based on my experiences as a medical assistant and clinical research (during my first year and sophomore summers), and through mentorship I got from professors such as Dr. Hauk, Dr. Kuhlman, and Dr. McCall. Additionally, I knew from my introductory courses in chemistry and biology that I had a strong passion for the sciences. A challenge for me throughout my time at Denison was time management. I was involved in many areas of campus life such as playing on the soccer team, being a resident assistant/head resident, and holding various leadership positions such as in DCGA. I struggled at times to find enough time to study; I overcame this by learning how to make the best use of all the time available in the day. I had a schedule I stuck to daily, and made sure to do my homework in all the gaps in between. I plan on specializing in some form of medicine such as oncology, neurology, or anesthesiology. My first piece of advice would be to focus on building strong study habits throughout your time at Denison. Denison will provide a challenging and rigorous undergraduate education; take advantage of it! Building strong study skills such as discipline and dedication will go a long way in preparing you for medical school. Learning how to manage your time will also pay dividends in the future. Do not forget to have fun as well! Denison was some of the best times of my life; live your life to the fullest and enjoy the time you have. My second piece of advice would be to have a well rounded application. Experiences such as being involved in leadership activities and hands on experiences such as research really help boost your chances of getting into medical school. Grades and MCAT scores are important, but being a well rounded applicant will set you apart in the process. Finally, take the time to figure out if going to medical school is the right move for you. To give you an idea of what a day in the life of a medical student is like: wake up at 7 am, attend class (or watch lectures online) from 8 to 3, then frantically study from 3 to 12 pm or later. This schedule becomes even worse when you start studying for board exams. There is time for some fun, but only after exams every couple weeks. Many times parents will encourage their student to follow the premedical track when the reality is the student would prefer to be doing something else. Follow your passions! Denison offers amazing programs in many different disciplines. Medical school is among the toughest academic environments on the planet; you have to love what you are doing or you will struggle. I have just finished my first year of dental school at Penn. I particularly like that dental school is a mix of both art and science. Didactic work focuses on curriculum similar to medical school, while the lab work prepares you for common clinical procedures in general dentistry. I enjoy working with my hands in lab, interacting with patients in the school clinic, and learning about the interactions between oral and systemic health. Sometimes figuring out what you don’t like can be extremely insightful and guide you towards what you do like! After Denison I attended a Master’s program in Biology. I realized a few months into my program that a research career was not for me. 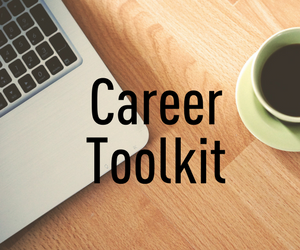 I explored other career options while in school by shadowing multiple professionals. Shadowing helped me better understand the challenges and rewards of many different professions and confirmed that dentistry was the path I wanted to pursue. Applying to dental school while in the middle of my Master’s program was very demanding, but having a timeline and checklist helped me accomplish what I needed to while still in school and working a second job. The fact I had already completed undergrad and could not continue taking prerequisite classes during the application process made my process slightly different. Because of the structure of Denison’s chemistry curriculum, I was limited in where I could apply to dental school. Most programs require two semesters of general chemistry and two semesters of organic chemistry. I had only taken the three semester chemistry sequence as an undergrad. After contacting many programs with my transcript to determine which chemistry class they thought I was missing, I decided it was easiest for me to apply to the limited number of programs that only required three semesters of chemistry. I hope to pursue a career in general dentistry after I graduate in 2021! My first piece of advice is to find something you love to do that isn’t academic or motivated by needing something that “looks good on an application.” The process of applying to school can be stressful, but having something you enjoy doing gives you “work/life balance” and will keep you sane (both during the application process and later on in any type of professional program)! During my interviews, I was always asked about my hobbies and how I managed stress. Find something you genuinely enjoy! Your career is not your entire life and applying to school shouldn’t be either. In terms of the actual application process, have a rough idea of where you may want apply, because this can impact what required courses you take at Denison. Each school has its own set of required classes. The chemistry requirements can be particularly difficult to match, so talking with the schools you want to apply to early can help you determine what classes you may be missing. Also, consider joining a local ASDA pre-dental chapter or start one on campus if there isn’t one! Student Doctor Network is also really helpful when researching schools and getting answers to questions you have about the process. Finally, shadowing was extremely helpful for me and you will also need hours for your application. Shadowing helped me better understand the pros and cons of the career and allowed me to see how different dentists and specialists tailor their practices to fit their lifestyle and goals. I suggest shadowing at multiple practices too, because no two practices (or even corporate offices) are alike. Best of luck and feel free to contact me any time if you have questions or want to chat! I am interested in health promotion and disease prevention. The connections that Case offers in the Cleveland area really impacted my decision. I didn’t do that well in some science classes but I just kept my head down and worked hard. I plan on getting my PharmD and an MBA and working for a pharmaceutical company. Make sure to look at all your options and be open to new things.